I read somewhere that young people born in years ranging from the early 1980s to the early 2000s are called “Millennials” or “Generation Y“. We often welcome “Gen Y” tea students who attend schools in the San Francisco Bay Area. Some are here for a summer school. Or for a language school. Others may be attending a four-year university. Many are from other U.S. states or even other countries, including Japan. Whatever the case may be, we feel fortunate to have met them and shared a bowl of tea – even for a short time. Beyond barriers of borders and languages, tea is the uniting force that brings peoples – and generations – together. That awareness is awe-inspiring. 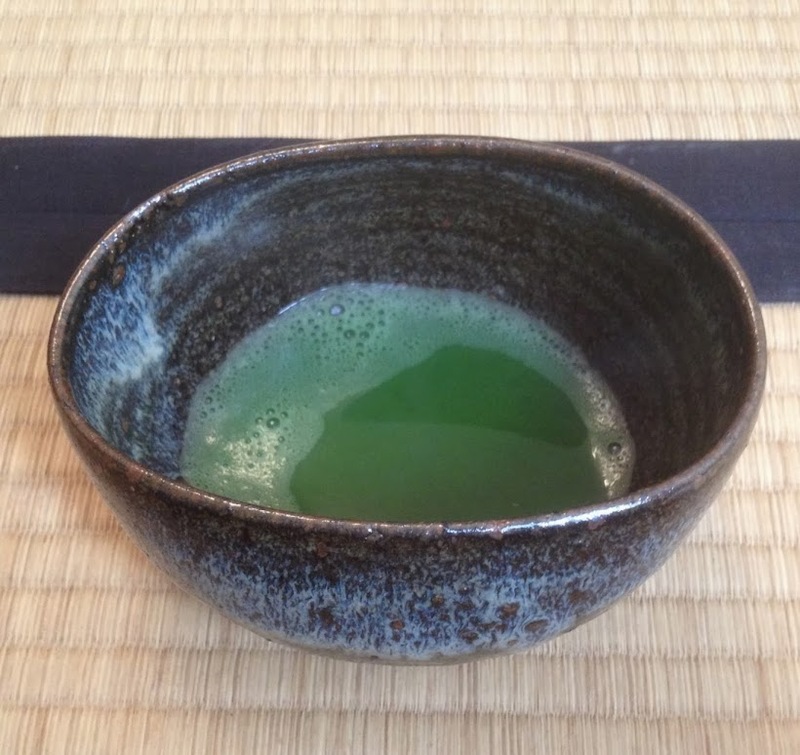 Categories: Japanese Tea Ceremony, 歴史と文化・History and Culture | Tags: chanoyu, Japanese culture, Japanese tea ceremony, omotesenke, San Francisco | Permalink. Rev. 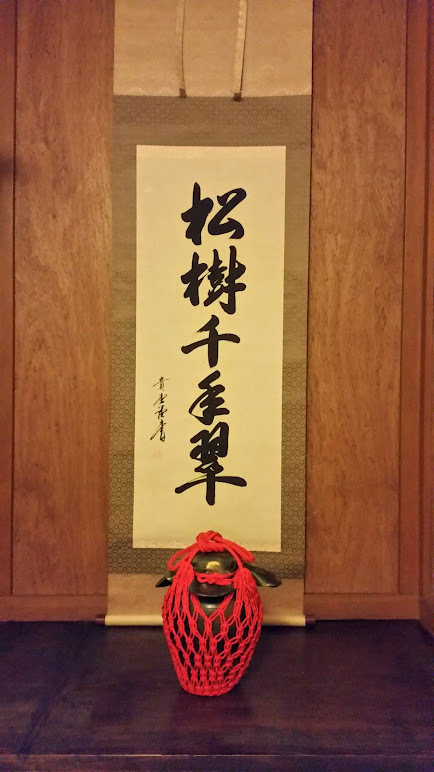 Sonoda from Myoju-ji visited San Francisco Nichiren-ji temple in early November. The reverend was visiting San Francisco to attend to temple members living in the Bay Area for autumn services. Abbot Miyoshi could not travel this time. As we are renting the tea room from the temple and Myoju-ji has been kind to us, we invited the reverend for tea to show our gratitude. 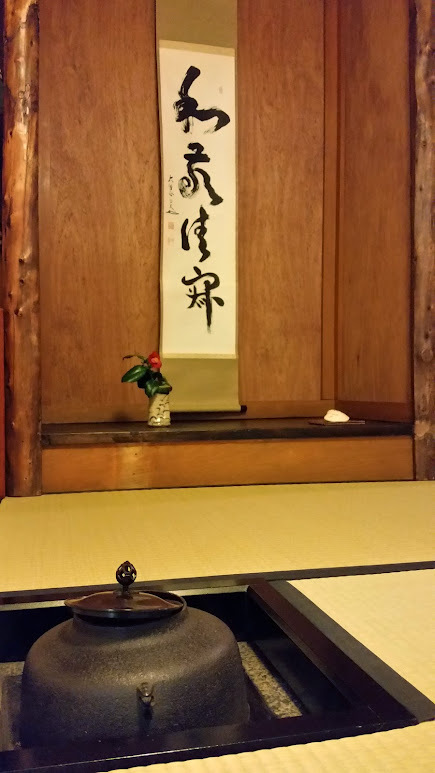 Categories: お知らせや催し物・News and Events, Japanese Tea Ceremony | Tags: chanoyu, Japanese culture, Japanese tea ceremony, omotesenke, San Francisco | Permalink. Our shachu has entered another ro season as well. Ro is generally opened around the time of ritto’u. Some teachings may indicate that it should coincide with the time of pomelos or persimmons turning yellow or orange, or one’s breath turning white. As anything related to tea, it closely follows seasonal changes. 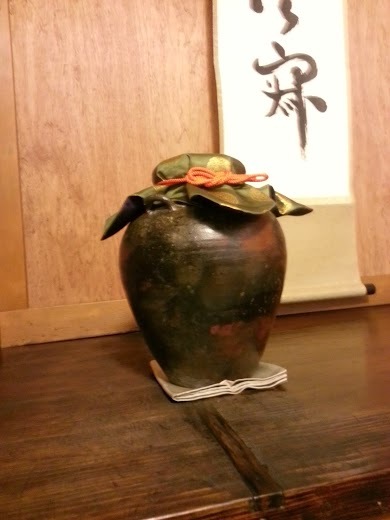 This is also the time for tsubo kazari (displaying a tea jar). In the time of Rikyu, what we call chatsubo was called “o’otsubo” (a big jar) to distinguish from cha’ire or “kotsubo” (a small jar). In the middle ages, Japan relied on imports for glazed jars. Those came through the Philippines were called “ruson” (an old Japanese name for the Philippines). 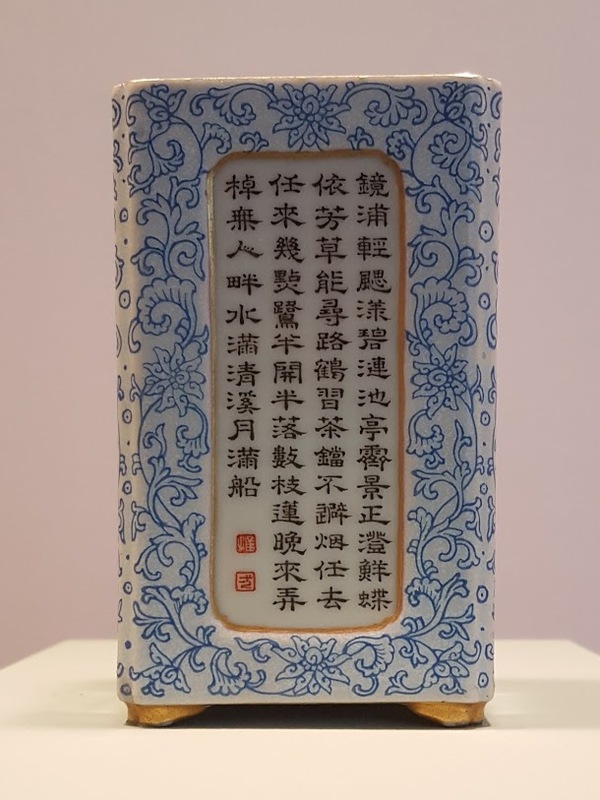 Ruson jars without any writing or design (known as “matsubo“) were considered the best. Categories: 点前・Tema'e, 焼物・Ceramics, 茶道具・Tea Utensils, Japanese Tea Ceremony, 歴史と文化・History and Culture | Tags: chanoyu, Japanese culture, Japanese tea ceremony, omotesenke, San Francisco | Permalink. Interested in Calligraphy? Click Here! The original works in this blog are licensed under a Creative Commons Attribution-NonCommercial 4.0 International License. Other works are those of licensors or other rights holders.